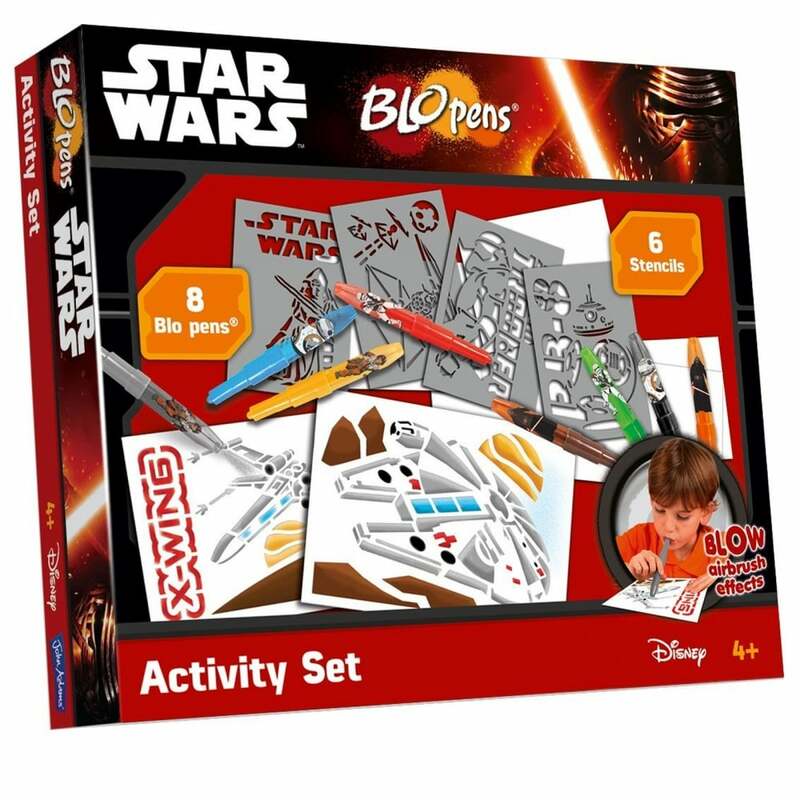 Use the force with your Blo pens to create fantastic airbrush pictures using this fun way of colouring! Use the stencils to create some of your favourite Star Wars scenes in bright colours. Place your stencil on a sheet of paper, blow through the pen and watch your drawing appear! Blow lines or circles creating different effects, or use the Blo pens as normal pens to add extra detail.